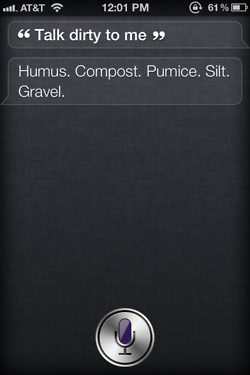 I don’t use Siri but it has been in the news a lot. 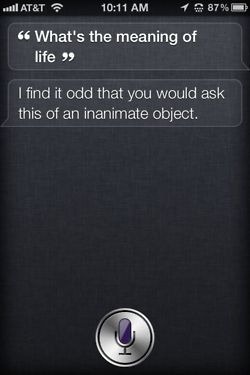 Siri is the “smart” assistant on the new Apple iPhone 4S. Evidently it can be quite helpful but it can also say some funny things. I have no idea if these are real or not but that doesn’t matter – they are funny. Will your new iPhone 4 blend? 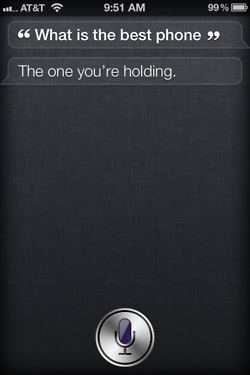 I saw this first on Web Funny and thought it was fitting to show on this date of the release of the new iPhone 4. Jon Stewart is hilarious as he beats up Apple Inc. and Steve Jobs on the recent iPhone screwups. Dilbert is great. I love the humor. Typically, when I republish something from Dilbert, I use the embed tool that Scott Adams has on his site. It seems that since these strips will never be published in your local paper, there is no embed. Therefore, I am not doing this the official way. I sure hope Scott doesn’t sue me but do me a favor and jump over to his site and tell him how great these strips are!